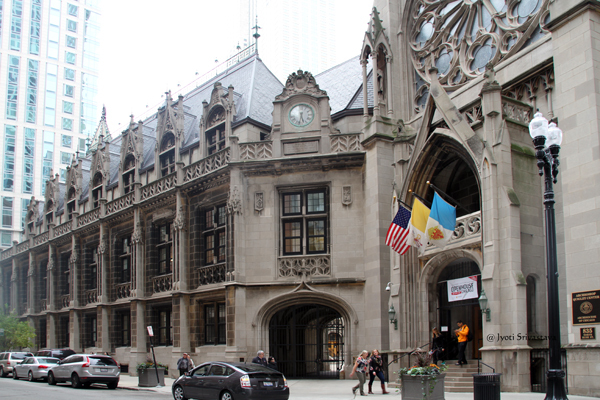 Archbishop Quigley Preparatory Seminary was an American seminary preparatory school administered by the Roman Catholic Archdiocese of Chicago for young men considering the priesthood. 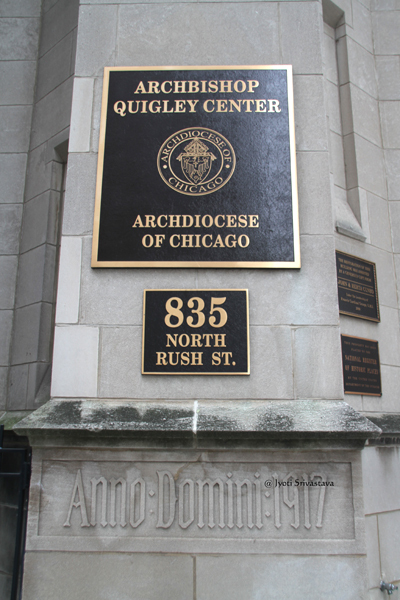 It was closed down in June 2007; and reopened in December 2008 as the completely refurbished Archbishop Quigley Center. 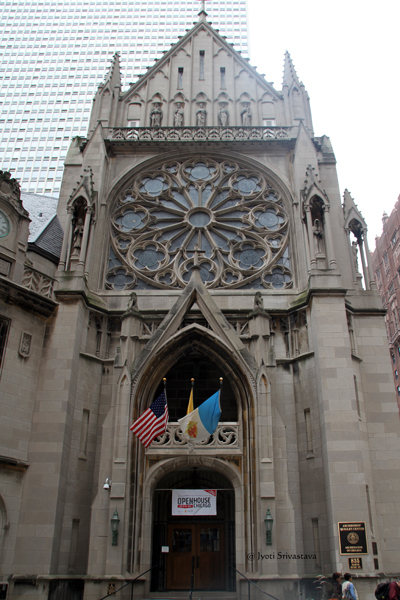 The Saint James Chapel is located within the Archbishop Quigley Center at 835 North Rush Street [at Pearson], just one block west of the John Hancock Center. The Saint James Chapel serves the spiritual needs of Archdiocesan employees with daily Mass, Eucharistic Adoration each Friday, and opportunities for personal and group prayer. 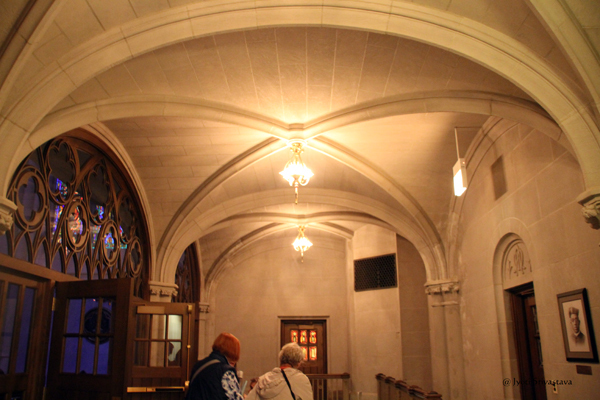 Saint James Chapel at the Archbishop Quigley Center is inspired by Sainte Chapelle in Paris. It is designed by architect Zachary Taylor Davis. 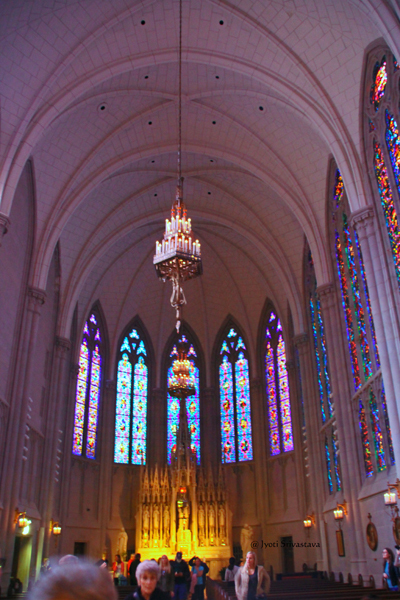 Completed in 1919, it was dedicated on 10 June 1920, upon the seventy-fifth anniversary of the Archdiocese of Chicago and the twenty-fifth anniversary of Mundelein’s priestly ordination. 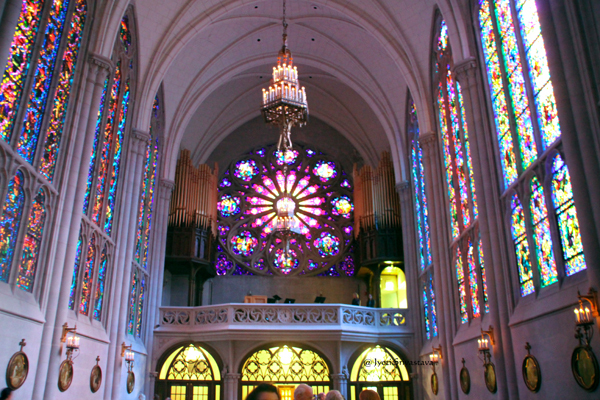 The design is French Gothic Revival, with arched windows and soaring vertical buttresses. The exterior walls surrounded and guarded by statues of saints. 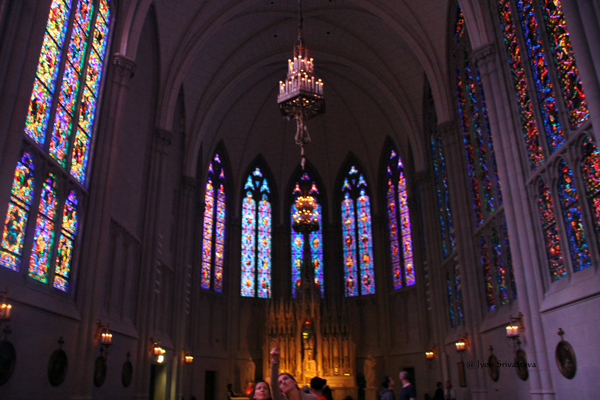 Saint James Chapel is “a hidden jewel” in the midst of a bustling commercial and residential neighborhood on Chicago’s Gold Coast. It has been listed on the National Register of Historic Places since 1996. 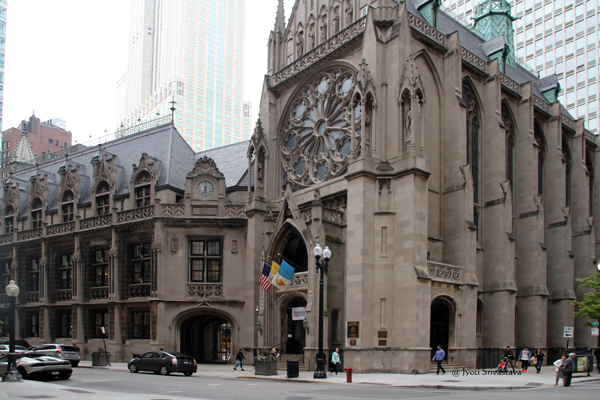 Saint James Chapel at the Archbishop Quigley Center, Chicago. 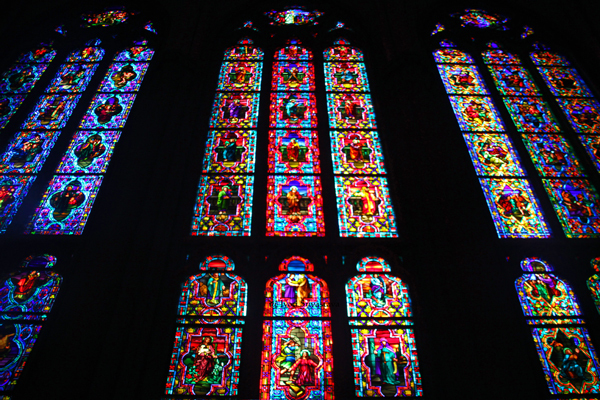 Visually, the most captivating feature of the Saint James Chapel is the stained glass windows. 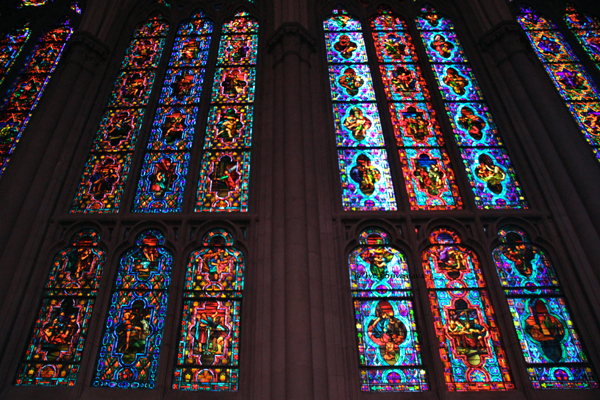 The stained glass windows are by Robert Giles of the John J. Kinsella Company of Chicago. 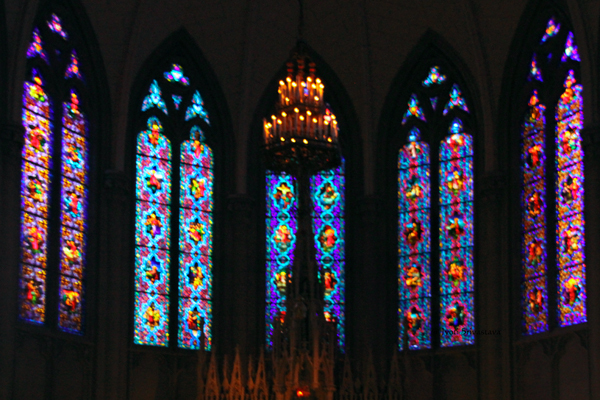 SANCTUARY WINDOW: The sanctuary windows tell the story of the life of Christ. 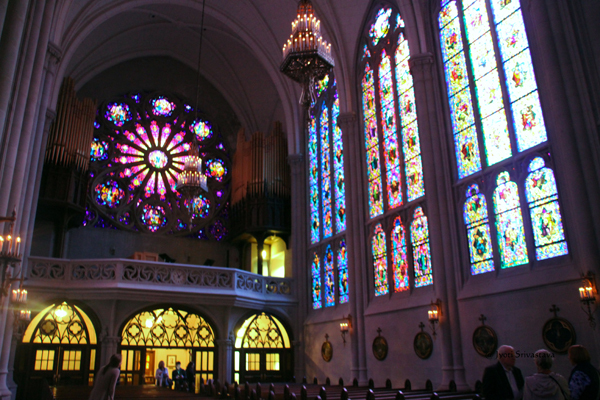 ROSE WINDOW: The west-facing Rose Window depicts the life of Mary, Jesus’ Mother. 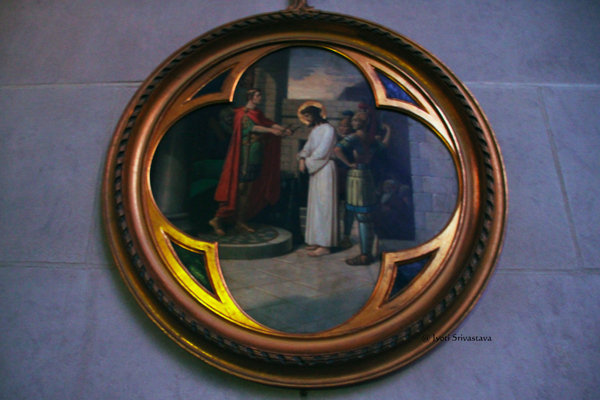 The heart of the Chapel, its altar, is carved of Caen stone, brought to the U.S. from France. 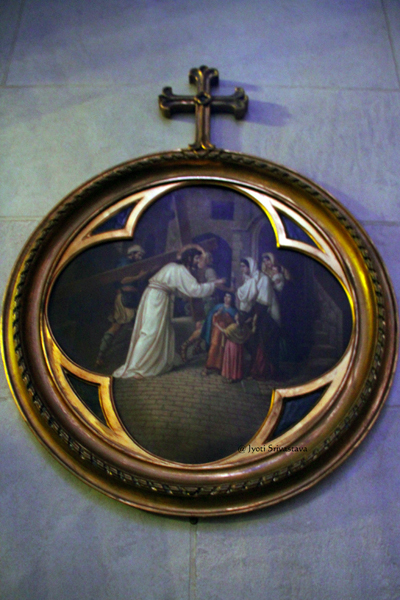 Yet, in all of its glory and splendor, the Saint James Chapel has a significance beyond that of the visual. 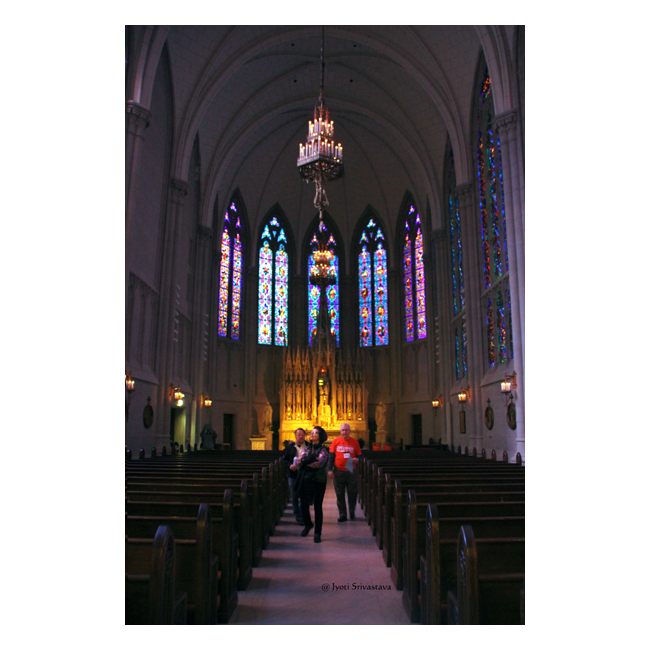 The chapel is, and for over 90 years has remained, a place for prayer and reflection; a sacred place for Eucharist liturgies and a refuge for those seeking God’s quiet counsel. 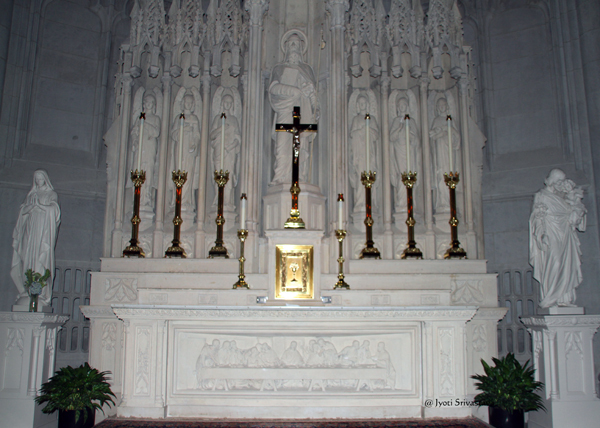 Altar – Saint James Chapel at the Archbishop Quigley Center, Chicago. 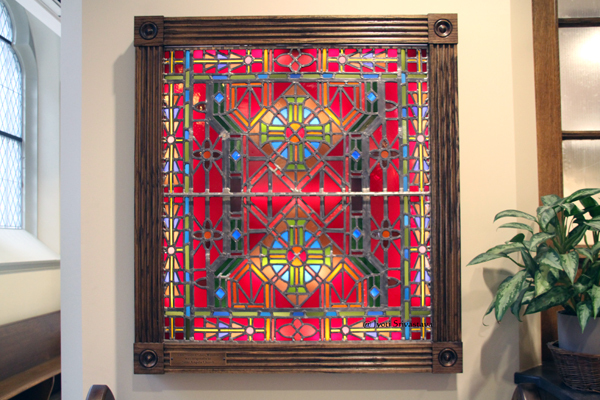 Sanctuary Window – Saint James Chapel at the Archbishop Quigley Center, Chicago. 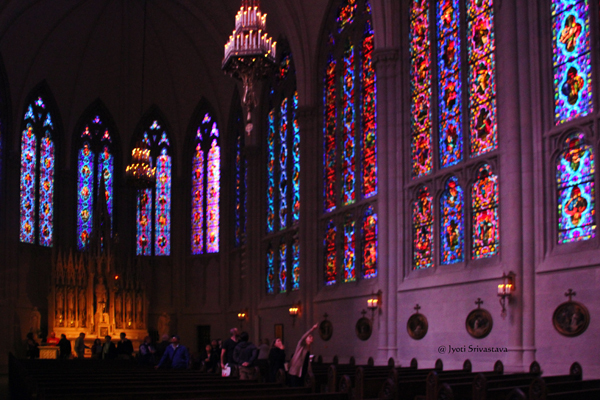 Sanctuary and Nave Windows – Saint James Chapel at the Archbishop Quigley Center, Chicago. 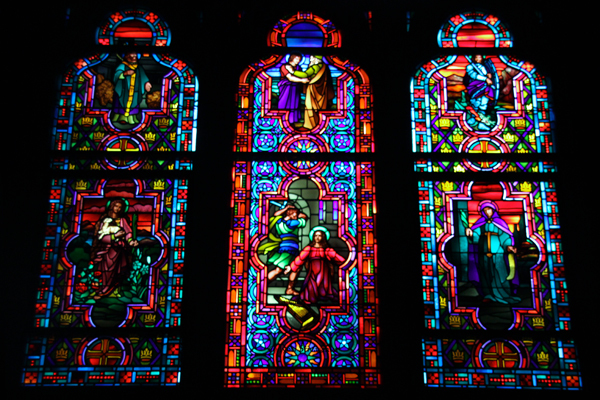 Nave Window – Saint James Chapel at the Archbishop Quigley Center, Chicago. 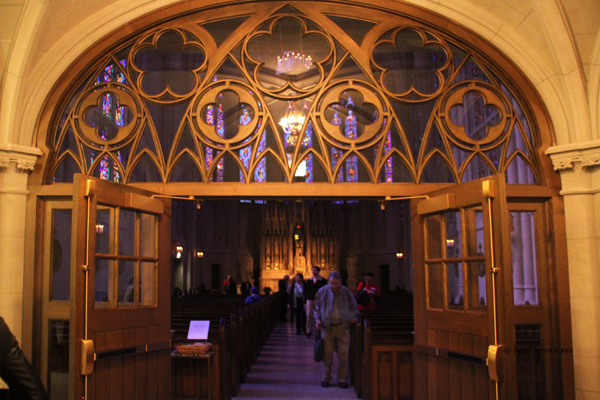 Rose Window – Saint James Chapel at the Archbishop Quigley Center, Chicago. Saint James Chapel at the Archbishop Quigley Center. 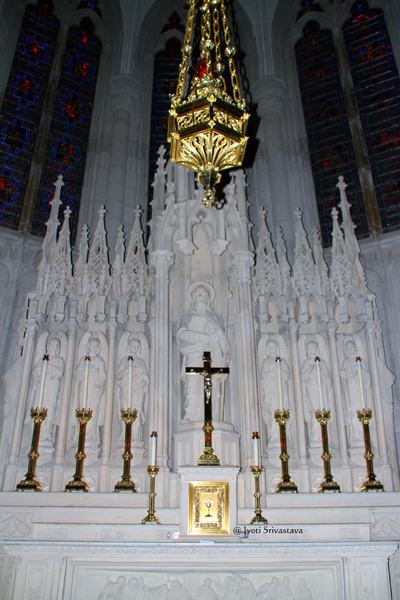 Saint James Chapel at the Archbishop Quigley Center . Permission to use photos of St. James Quigley Chapel in our class reunion montage of building/chapel interior to enervate memories of Quigley for classmates. One montage 8 X 10 in size.